Is loss of hearing getting in the way of your summer fun? The worse thing is when you’re not even aware you have loss of hearing. The prolonged decrease of your hearing that goes along with aging and certain ear diseases will mean that you don’t always realize that there are some things you can’t hear anymore. If you love summer fun, then why would you want to lose out because you can’t hear that well? You will still be capable of getting out and having a blast if you find certain practical solutions to your hearing loss difficulties. 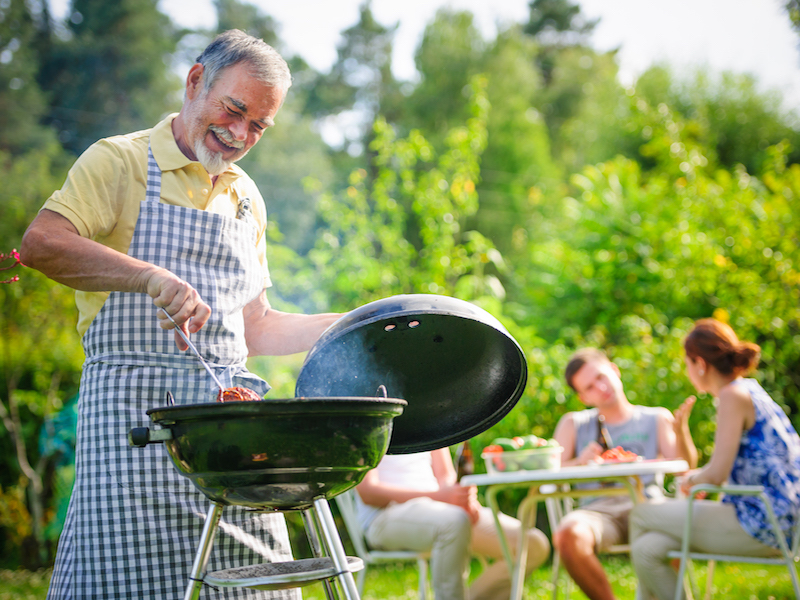 Loss of hearing can get challenging during summer barbecues. One of the toughest things is background noise. Everywhere around you, people are talking. Kids could be playing in the yard or yelling in the swimming pool. There is the crackling of the food cooking on the grill and, of course, the wondrous sounds of nature. If you do have some degree of loss of hearing, all of these noises and sounds will be quite challenging. Background sounds will overtake someone with hearing decline. Sitting in a quiet spot for short periods can help get rid of some of that overpowering background noise. You may need to look at peoples lips so put your back to the sun. You can reduce the volume of background music. Deciding not to play music is an option if you’re the host. Tell the host about your issue if you are attending someone else’s barbecue. Get away from time to time. Working to hear takes a lot of energy. Go indoors and away from everyone for a short time every hour and go someplace quiet to recharge. Let people know when you can’t hear. Don’t attempt to fake it because that can irritate others. If you don’t hear what someone said, tell them. Cupping your ear and other visual clues can show that you can’t hear to others. Usually, people will move closer or speak louder to help out. Don’t attempt to hear everything. Accept that you can’t participate in every conversation. Set sensible limits for yourself and try to take part in small groups instead. What might you be missing by staying inside the house? Don’t be frightened to step outside and focus on the sounds of the natural world. No, you won’t be able to hear everything but with a little focus, you might hear more than you might think. If you only attempt to listen to one thing at a time, you can manage your expectations every time you go outside, head to the beach or walk in the park. Isn’t that what summertime is all about? Determine what kind of vacation you might like and if there are constraints that come along with your hearing loss. Sailing or fishing would be ideal but an amusement park could be a little too much. Spend a day at a nature preserve or go to the zoo. Walk on the boardwalk near the beach or head to a museum. You have a chance to travel this summer so you shouldn’t let your hearing loss take that away from you. Tell the airline about your condition when you get your ticket if you are flying. Alert the hotel or resort, as well, so they can offer you a room that has accommodations for the hearing impaired such as smoke alarms with flashing lights or shaking beds and TVs that have closed captioning. Look for ways to better yourself this summer like going to a fitness class or learning how to paint. Arrive early, so you can get a spot up front. Take a friend or two with you and let them fill you in on what you are missing during the session. While you are at the pool or beach, make sure you play it safe. Put in earplugs to avoid ear infections and don’t let your hearing aids get wet. If you choose to take a walk after dark to appreciate the night air, take a friend with you. The loss of hearing means that you won’t always comprehend things such as cars driving towards you or maybe even a stranger lurking behind you. Safeguard what hearing you may have by wearing ear protection if you go to see the fireworks for Independence Day or to an outdoor concert. Many of these summer challenges become less substantial if you do three easy things. Have your ears examined by a hearing care specialist. It may be possible that your hearing loss is treatable. Get high-quality hearing aids. They can get rid of any background noises so you will hear what’s relevant. Having fun is what summer is all about. Don’t permit the loss of hearing rob you of that.